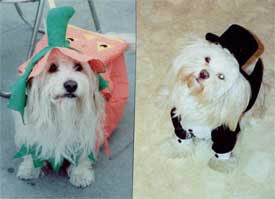 My Recycled Pets: Diary of a Dog Addict is now in its second edition! 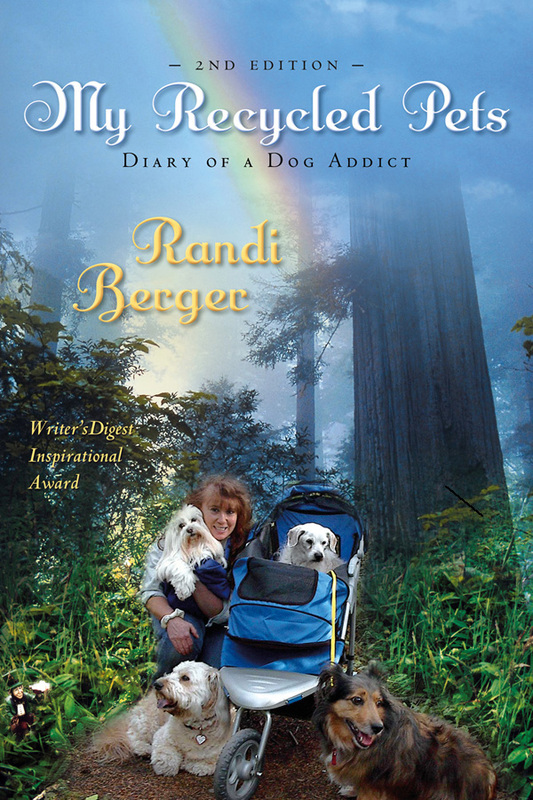 Whirlwind of a woman, Randi Berger wraps you in tales of her dog rescues -- more than ten thousand over the past twenty years -- in her new, revised, and expanded My Recycled Pets: Diary of a Dog Addict. A nationally recognized pioneer in the pet rescue movement, Berger takes you from first pet to Skooter (her longest lived dog of nine lives) as she magically matches unwanted dogs with the perfect, loving new owners. 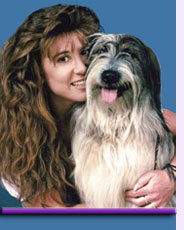 Along the way, she treats you to laughter, tears, and spiritual insights. Experience the astonishing miracles that give Berger her faith. You, too, will see how every detour from what we think is right holds the message somewhere for us that all is in Divine Right Order. Get ready for a paradigm shift. The mesmerizing stories held within the pages of My Recycled Pets will forever change your belief system about what is possible for us on Earth. 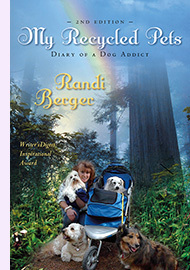 Recognized by Writer's Digest with an Inspirational Award, My Recycled Pets: Diary of a Dog Addict proves what one determined person can accomplish and what power lies within each of us. 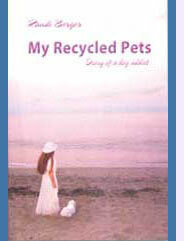 Net profits from the sale of this book benefit Recycled Pets Rescue, a 501(c)3 all-volunteer, non-profit charity. • Read a review at The Light Connection Online. • Read our press release about the book. Click the "Make a Donation" button in the left-hand sidebar to go straight to PayPal. Click here to go to our Donations page for additional information, including how to send us your inscription information. Every donation of at least $100 donation to Recycled Pets Rescue includes an autographed book and shipping charges (within the Continental U.S.). A portion of your donation is tax deductible. as well as the reason why the one in the tuxedo was labeled as a female Staffordshire Terrier.